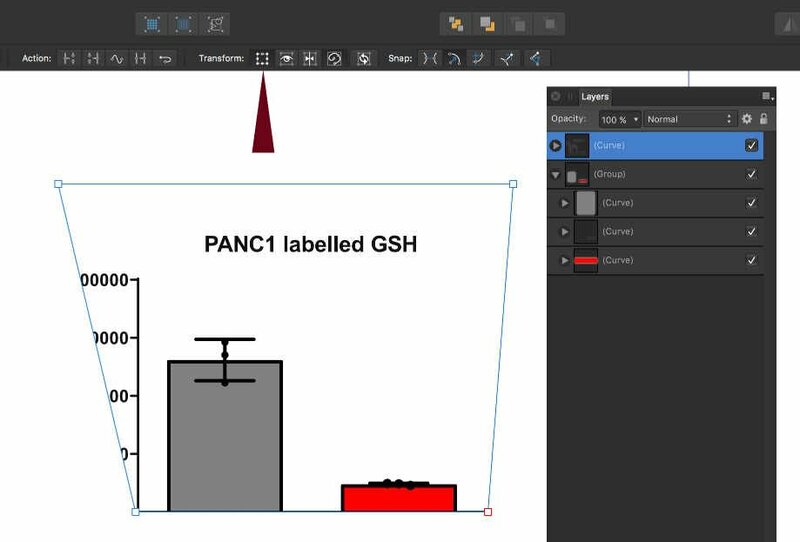 I'm a cancer researcher and I use Affinity Designer to prepare publication quality figures for manuscripts. I love it. However, one persistent issue has been importing EM F (or WFM, EMF+, EPS, etc) files from a statistical graphing program called GraphPad Prism (another awesome piece of software). Graphs from Prism that are copy/pasted into Desinger, or Placed, end up appearing cropped and missing pieces (despite being fine when opened in other vector file viewers). I finally traced the problem to artboards- the files are being automatically imported to a new artboard, and that artboard is typically smaller than the object itself. 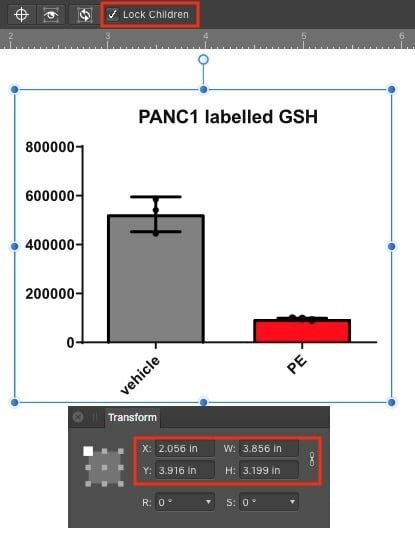 As an example, I'm attaching two files here: a graph exported from Prism as .emf, (which renders fine in MS Paint), and a .afdesign file that contains the same graph after being copied into Designer. You will see that the axis labels and other components are not visible. It turns out that all of the components of the graph ARE present in Layers. But the object is on it's own Artboard, and some pieces are off the edge of that artboard. It is not clear to me why Designer imports the object that way. If you copy the individual sub-objects on the Layers menu and paste them into the main artboard, you can see everything and edit as per usual with a vector object. However this is very tedious, especially since some end up as sub-sub-objects, etc (see example). You can also use the artboard tool to extend the boundries of the Artboard, but this makes editing more complicated. I tried to use the "Convert Artboard to Object" action in the Layers menu, but the feature is not available when I select this object- I don't know why. So I have two questions. FIRST, is it possible to force a pasted or placed object to be pasted to the main artboard (without creating a new artboard)? If not, then SECOND, can anyone advise me on how to merge the artboards (or get the Convert Artboard to Object command to work) in a single step rather than having to tediously copy paste every single sub-object in the layers palette? Select the layer at the top which has all the labels etc. click on the Transform button while using the Node Tool (A), then drag the boundries with the node tool. Odd that all the stuff is there but hidden. I don't see that button on 1.6. Is it new in the 1.7 beta? I would advise using PDF as a format to export to and to open/import into Affinity Products. Open this up in Affinity designer. Yes, the Transform button is new in the beta, but you don't need it to fix the Affinity Designer file. As others have said, all the layers are there -- you can verify that easily by switching to the Outline view mode. 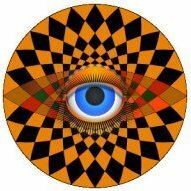 The problem is some are hidden because they are child layers of the topmost "(Curve)" layer, which is 3.037 x 2.002 inches, located at x & y coordinates of 2.731 & 4.499 inches respectively, so anything outside that curve is clipped & invisible. This also can be verified easily by selecting that curve with the Move Tool, ticking "Lock Children" in the context toolbar & moving the curve around to show different parts of its child layers. Thanks for this suggestion. However, working on the Windows version of Affinity Designer, PDF objects can only be opened as a sub-window. This makes it more challenging to work with in a complicated layout. Again, this can be fixed by copy/pasting from the PDF window to the may artboard, but not ideal. Still, this may be easier than going through the EMF file type, so a step in the right direction. Hi Old Bruce. Thanks for working on this, I appreciate your time. I was able the achieve same thing in V1.65 (without the transform button) by double-clicking the edge of the group with the node tool (it's not easy) and then selecting a corner and dragging. However, that still leaves all of the components in their own group(artboard? not sure. my vocabulary may be off here) and it is much harder to select and manage. What I'm trying to find is a way to get all the pieces easily and quickly copied onto the main artboard as independent vector objects so that i can resize, adjust font/line widths, etc easily and quickly. My interest in speed in due to that that I have to do all this hundreds of times for some papers, so each extra step adds a great deal of additional work. Ideally there would be a copy/paste default option that let you specify exactly how the object is imported as a default. In any case, thanks for your advice! However, working on the Windows version of Affinity Designer, PDF objects can only be opened as a sub-window. I am not sure what you mean by "only be opened as a sub-window." Both Mac & Windows versions of Designer can open PDF files, each in their own workspace window, just like any other file type the app supports. I am also not sure what you mean about artboards -- your .afdesign file does not include any artboards, just one canvas. I was able the achieve same thing in V1.65 (without the transform button) by double-clicking the edge of the group with the node tool (it's not easy) and then selecting a corner and dragging. What specifically is not easy about dragging a corner control handle with the Move Tool to resize an object? This is a common feature found in many graphics editing & creation apps routinely used many times a day by most users. Also, note that in both my & Old Bruce's replies, we mentioned dragging the handles of the Curve object, not its parent Group object. What I'm trying to find is a way to get all the pieces easily and quickly copied onto the main artboard as independent vector objects so that i can resize, adjust font/line widths, etc easily and quickly. This is complicated by the way the file was structured & imported into Affinity Designer, with so many objects as child layers of that one Curve layer (including a lot of redundant shapes in the part that is visible). I am not sure how or why that happened -- it could be sometime about how you did the conversion from the EMF format or something about how GraphPad Prism creates vector objects. But regardless of that, to make all the pieces independent objects you need to select them all in the Layers panel & drag them out of the Curve layer, leaving it empty, & (if you want) deleting it. To select them all, first expand the Curve in the Layers panel. Then click on the topmost object to select it, scroll to the last object, & shift-click on it. This selects all the objects so that you can drag them above the Curves layer in one step. Yeah, apologies, I'm getting all the terminology wrong. My point about PDFs is that they open as a new workspace window. By contrast, EPS and other file types do not open a new workspace window, they are editable directly in the main workspace. This is much more desirable for rapid editing. With regards to the Artboard point, I believe I was simply incorrect. The first time I managed to adjust the boundries of the group so I could see the "hidden" pieces, I had been playing with the artboard tool first. In retrospect that appears to have been happenstance. Yeah, apologies, I'm getting all the terminology wrong. My point about PDFs is that they open as a new workspace window. PDFs will do that, too. Just use File > Open rather than File > Place and you're editing the PDF. Just as you could do File > Open for your .emf file. This is simply how the EMF file is constructed by Prism. I've already been in contact with that company and they are looking into fixing this for future versions. Thank you for the explanation on how to select all the objects in the Layers panel. I had been unable to do that previously, but the point about expanding the Curve first did the trick! Much appreciated. My point about PDFs is that they open as a new workspace window. By contrast, EPS and other file types do not open a new workspace window, they are editable directly in the main workspace. This is much more desirable for rapid editing. I don't know what you mean by that. All files opened in Affinity Designer (or Affinity Photo) open in their own workspace, either as tabs in one combined workspace window or as individual workspace windows. Just as you could do File > Open for your .emf file. Not here, Affinity Designer and Photo don't 'see' the .emf file type. To clarify, I am trying to add many graphs (dozens in some cases) to a single master .afdesign file. Opening a PDF of the graph only opens that graph separately. I am trying to add it to another document. When you place a .emf, it is copied in as a group that is directly editable in the main workspace. If you do the same for a .pdf, it is only editable in a separate window. But not too surprisingly, changing the file extension from .emf to .pdf did not help -- no app I have, Affinity or otherwise, will open the file, complaining either that the file could not be parsed or appears to be damaged. I think the root cause of the problem is how the Prism app exports or saves vector data -- without all the redundancy & unneeded nesting, it should be much easier to open the exporting file in Affinity Designer & edit it. Yes, that was the issue. I had found it by somewhat randomly clicking around on the object (not in the Layers panel). If you use the node tool and click on the exact edge of teh whole group, you can select the Curve, and then resize. The hard part is catching just the edge. But yes, much much easier to do this in Layers. Thank you. Yes agreed! I think this is on Graphpad to fix, and they in fact have been responsive to my request on this point. It is interesting to me though that MSPaint opens the file and renders it perfectly. Thanks to everyone who has contributed to this thread, I appreciate all the advice and feedback. Various pieces are already helping to improve my workflow, so thank you. Perhaps the good folks at Graphpad used only MSPaint to check portability? Can't you save/export from MSPaint into other format recognized by Designer? Works just fine on Windows, in both 1.6 and 1.7. Seems like that is a pretty good indication that they were focused only on Windows portability. Well, if I can trust Wikipedia EMF (aka WMF) is a Windows-specific file format. There are Mac applications that can convert EMF/WMF files to something usable on Mac. One of them is Microsoft Office, but Google showed at least one other. Presumably Affinity uses Windows services to load the files, just as they have previously used Mac services to deal with HEIF/HEIC files, leaving their Windows users without a Serif-provided solution for that file format. I don't blame them at all for choosing to make use of the OS-provided services. If those files were important for Mac users then Apple should provide similar support for them.